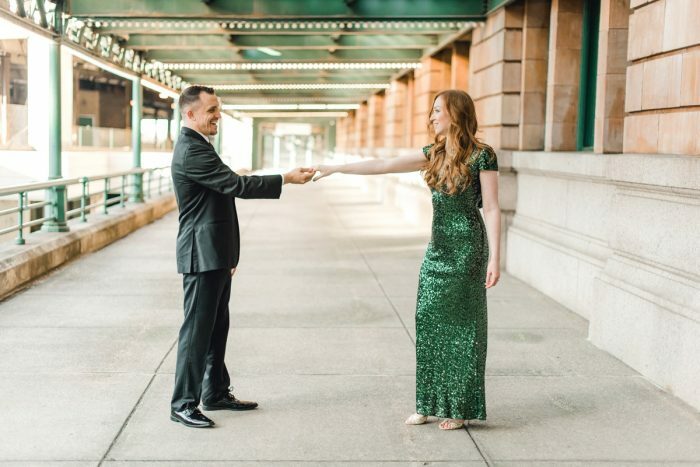 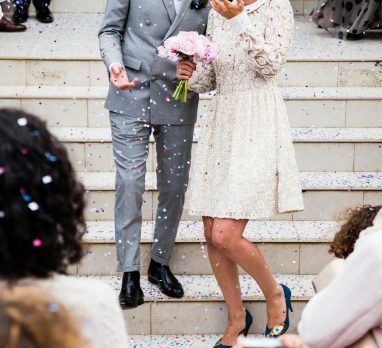 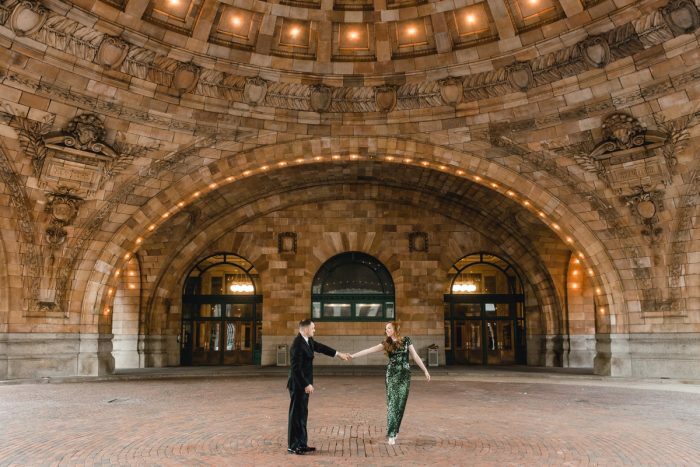 This engagement session at the Pennsylvanian is what it must look like to have your very own personal paparazzi. 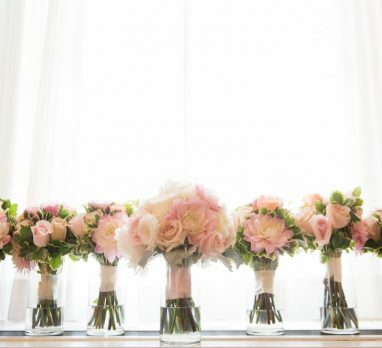 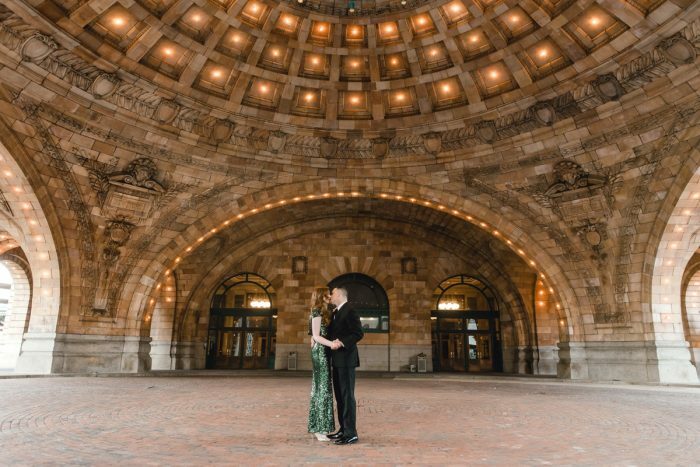 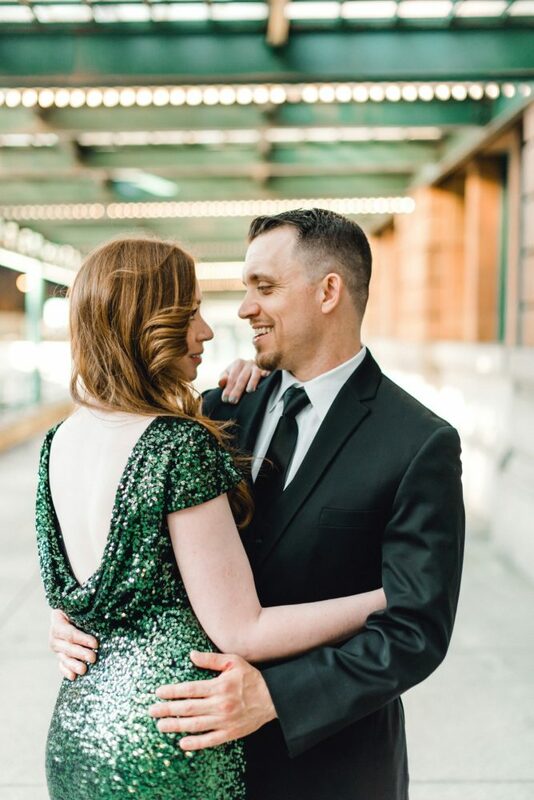 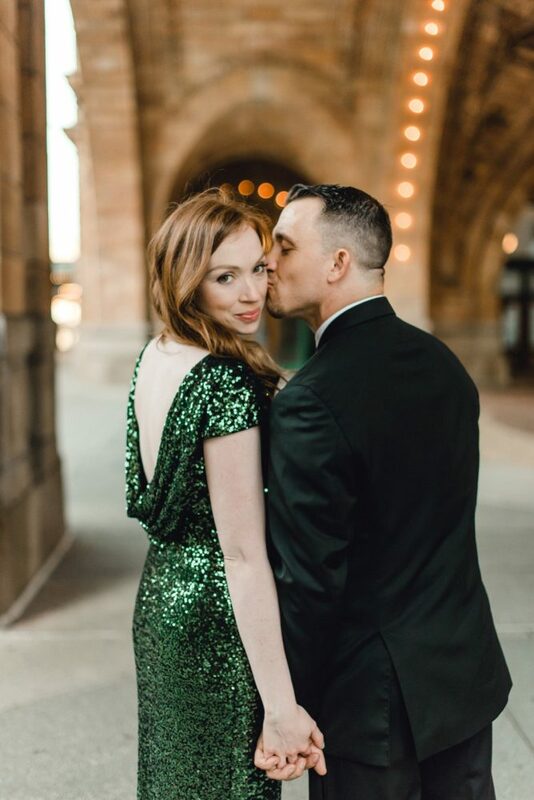 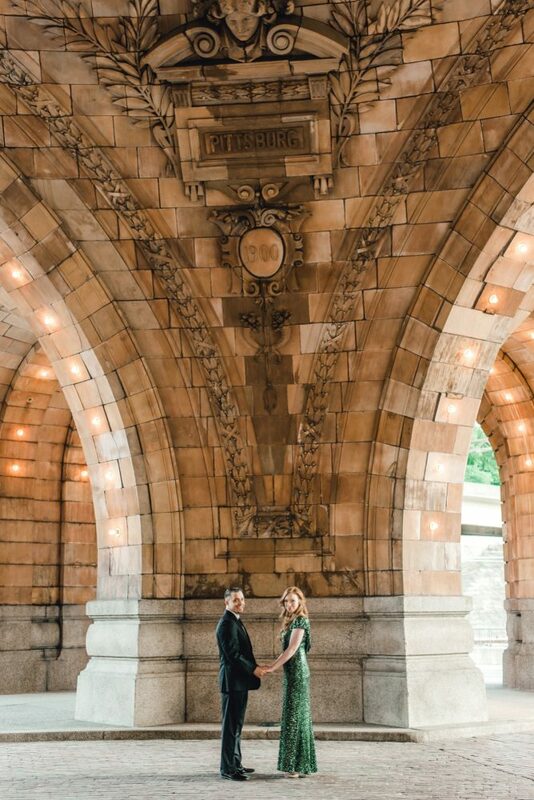 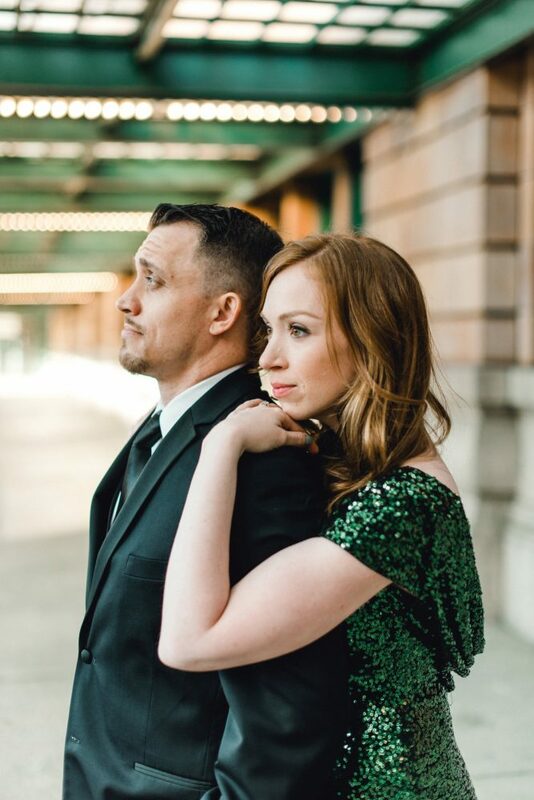 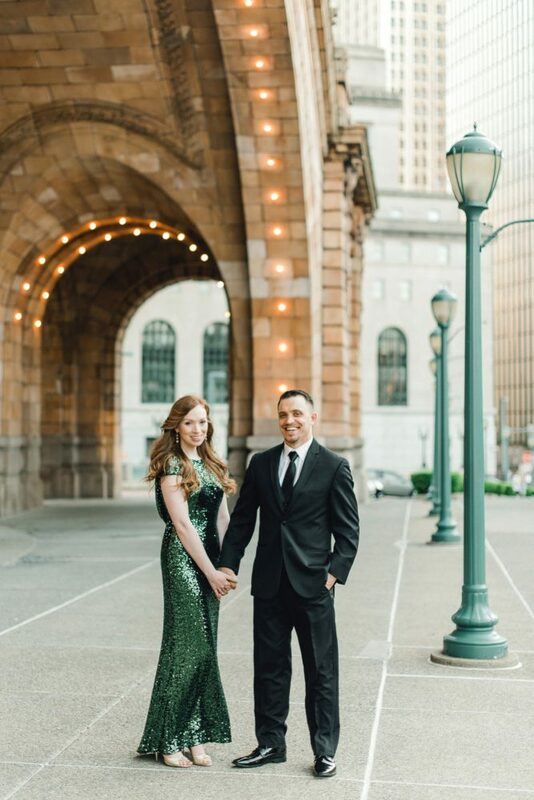 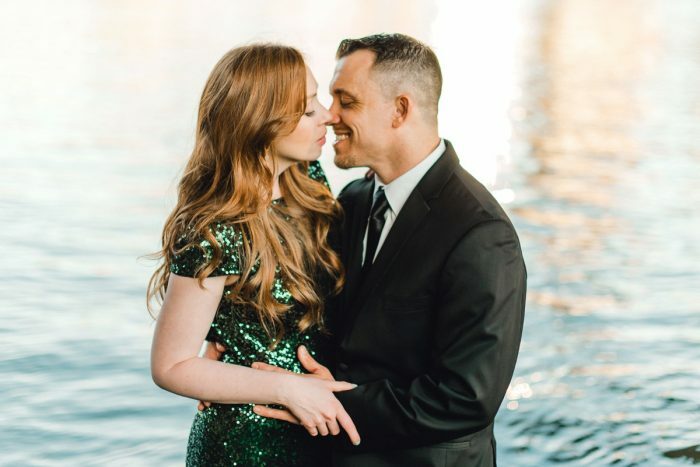 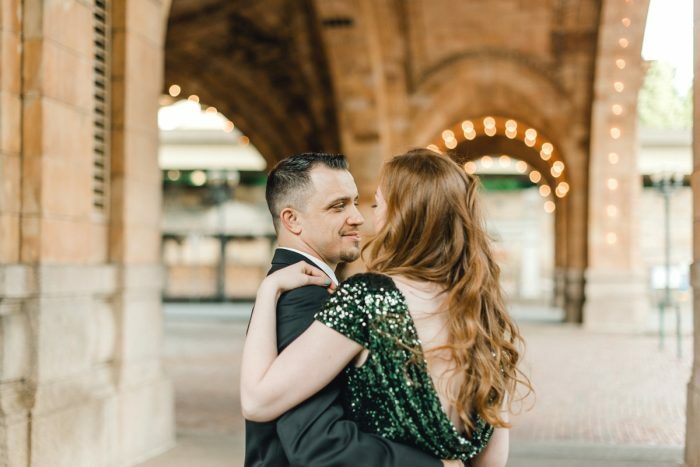 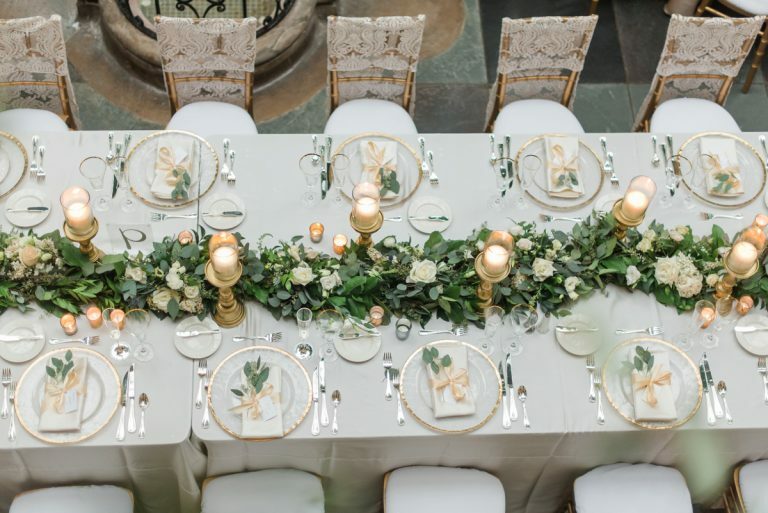 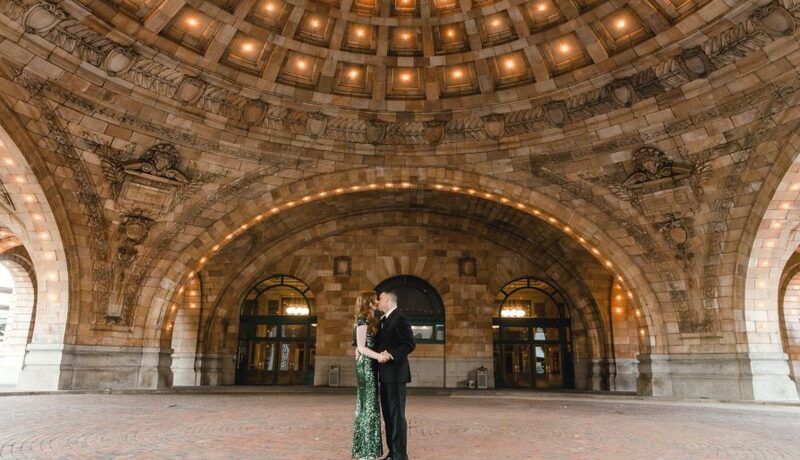 The glittering bulbs of this downtown Pittsburgh location remind us of camera flashes and it’s no wonder – Shannon and Ryan look like an A-list celebrity couple. 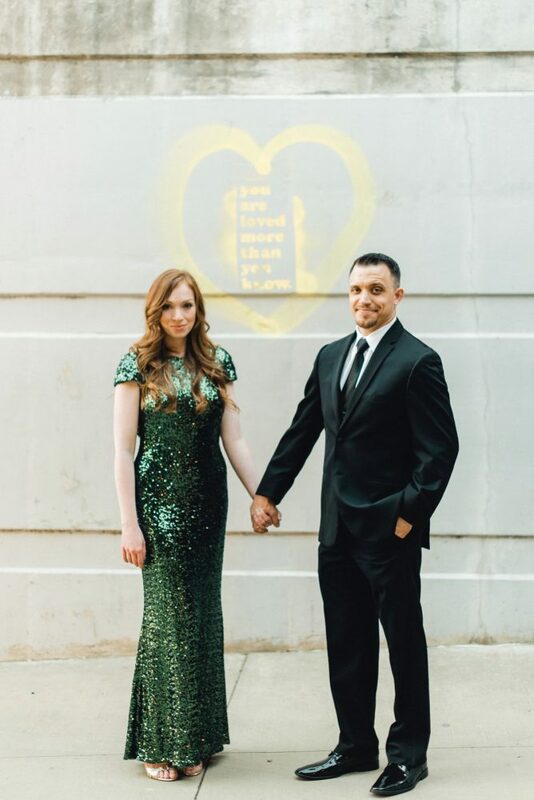 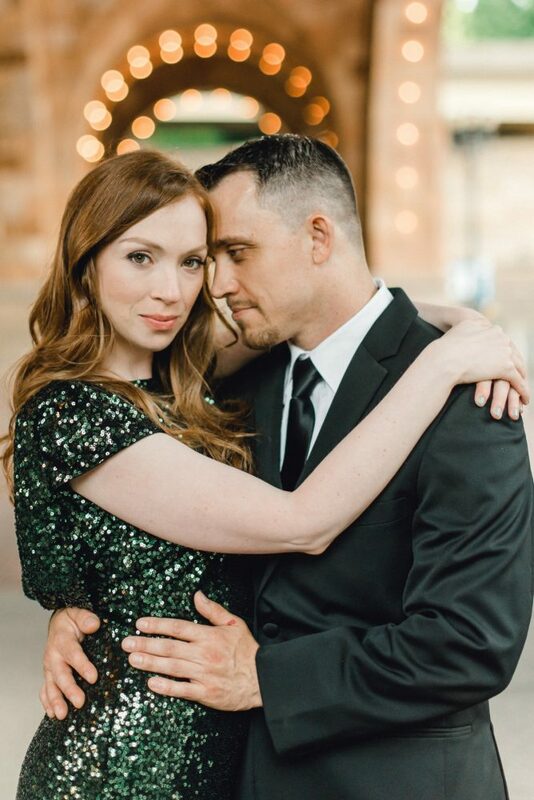 With her clad in an emerald green sequin dress and him donning a classic black suit, this pair is looking FINE. 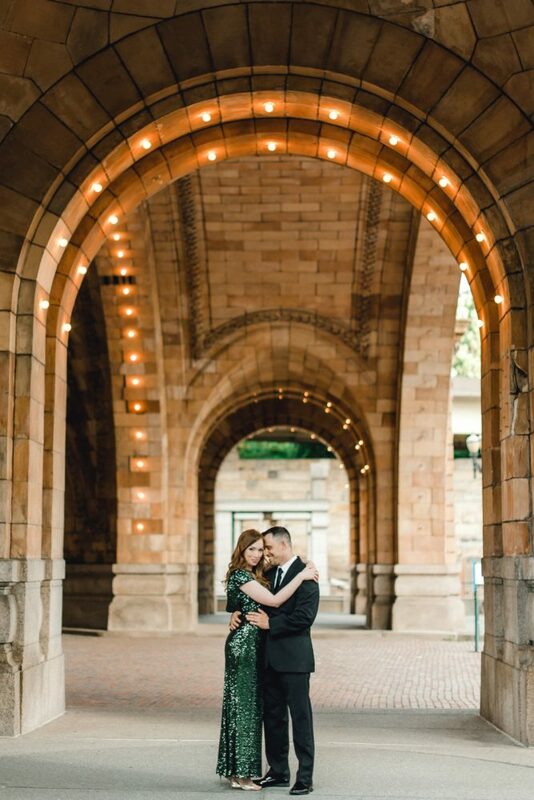 One of our favorite Pittsburgh wedding photographers – Dawn Derbyshire Photography – was in tow to document these Hollywood doppelgangers as they took in the beautiful architecture of The Pennsylvanian and other downtown spots. 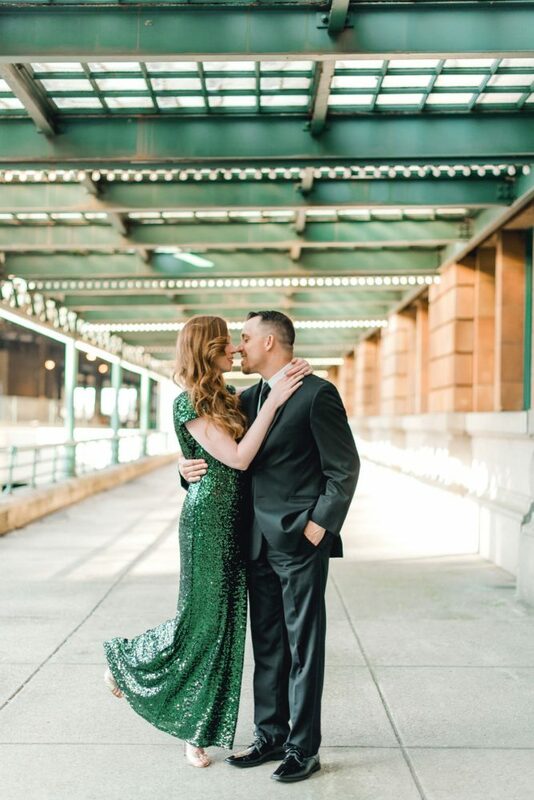 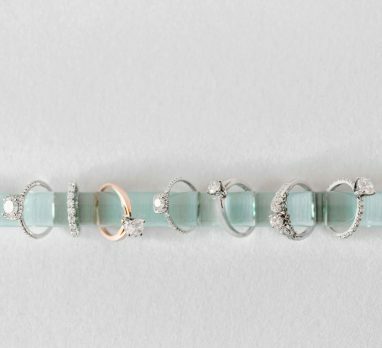 From the sparkling lights to those red carpet vibes, this feature definitely has us feeling green with envy!